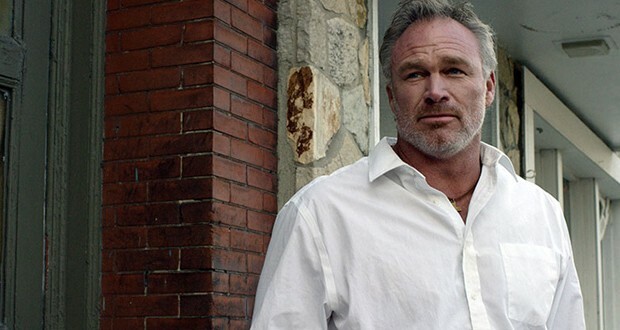 Brian "Boz" Bosworth is the movie "Do You Believe?" What’s the best evangelistic movie ever? By that, I mean the best film that has, at its core, the Gospel—and one that makes the message of Christ the film’s theme. I have a new nomination, and it comes out in theaters March 20. 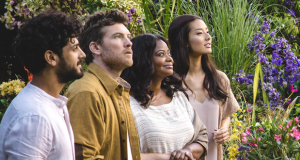 The film is called “Do You Believe?” and it follows the lives of a dozen people as they face their own unique challenges in life and must decide what they believe about God—and then what they’re going to do about it. 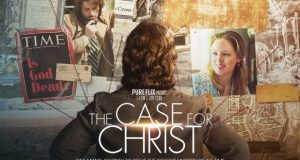 Written by the same team that wrote the 2014 surprise hit “God’s Not Dead,” it is also released by the same studio, Pure Flix. “Do You Believe?” is a dramatically different type of movie than “God’s Not Dead”—different theme, different direction—but many moviegoers will walk away saying it’s a better movie. I know I did—so much so that I watched it twice. It has a cast with several well-known actors and actresses, including Golden Globe winner Cybill Shepherd (“Moonlighting”) and Screen Actors Guild winner Sean Astin (“The Lord of The Rings,” “Rudy”), along with former pro football player Brian Bosworth and Lee Majors (“The Six Million Dollar Man,” “The Fall Guy”). It’s fast-paced and well-produced, boasts solid acting and has an amazing musical score. The first third and final third of the movie are particularly impressive, with an ending that has enough surprises that you won’t be making any bathroom runs. It’s a movie made for non-Christians and Christians alike. It forces non-Christians to ask “Do I believe?” but also urges Christians to consider: You believe, but what will you now do? Like “God’s Not Dead,” it has a few of those “that-would-never-happen-in-real-life” moments, but it is, after all, a movie. “Do You Believe?” succeeds in part because we all can relate to at least some aspect of it. 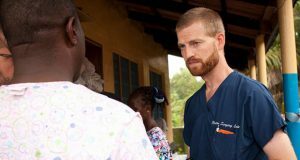 It follows a young couple struggling with infertility, an elderly couple coping with the loss of a child, a woman and her daughter who are homeless, a gang member who feels convicted about his actions, a soldier suffering from PTSD, a teen mom who has been abandoned, a middle-aged man who is battling cancer, a young woman contemplating suicide, and a married physician and attorney who are both arrogant workaholics. Their lives intersect and they must all deal with the same question that a street preacher presents at the beginning: Do you believe? The majority of critics, no doubt, will trash it, partially because it is more overtly evangelistic than any successful faith-based theatrical movie in recent history. But I’m guessing moviegoers will like it. This is a movie the church should get behind. It’s inspiring, convicting and simply amazing. Circle March 20 on your calendar … and go see it.